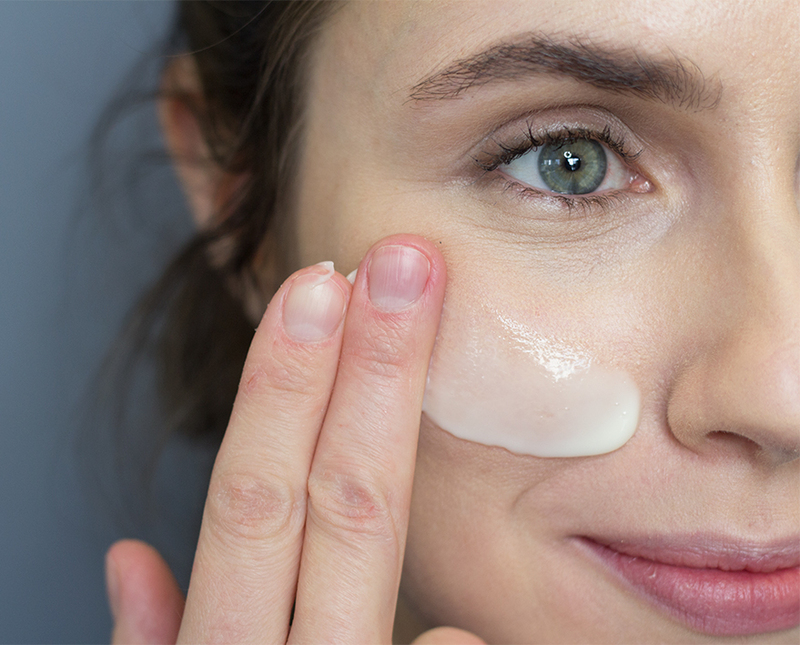 Treat dry skin in 3 easy steps! 1. Cleanse: Our lightly foaming Cleanser will effectively remove sweat, debris, makeup and excess oil without causing irritation or dryness. 2. Repair: Vitamin C Serum for Face & Eye firms, brightens, and improves the overall health of the skin. Stimulates collagen and protects skin against environmental damage. 3. Hydrate: Oil free, Moisturizer provides long last hydration with a silky smooth finish. For best results use morning and night. ♥ Bonus: Try our SPF 35 samples! Our oil free, matte finish formula will provide protection against UVA and UVB rays. Light weight and safe for daily use on all skin types. A mild sulfate-free cleansing agent derived from natural amino acids and oats. Cleans yet does not dry or deplete the skin of essential and protective lipids necessary to ensure skin’s integral function. Naturally occurring in the skin and other tissues, it is a highly effective humectant, holding considerable moisture in the skin. It can carry hundreds of times its weight in water. Harsh climate, frequent bathing, use of harsh soaps, the natural aging process, and various medical conditions can all cause lack of moisture in the upper layer of the skin. This can cause the skin to feel tight, uncomfortable and can cause cracking, peeling and a rough texture. 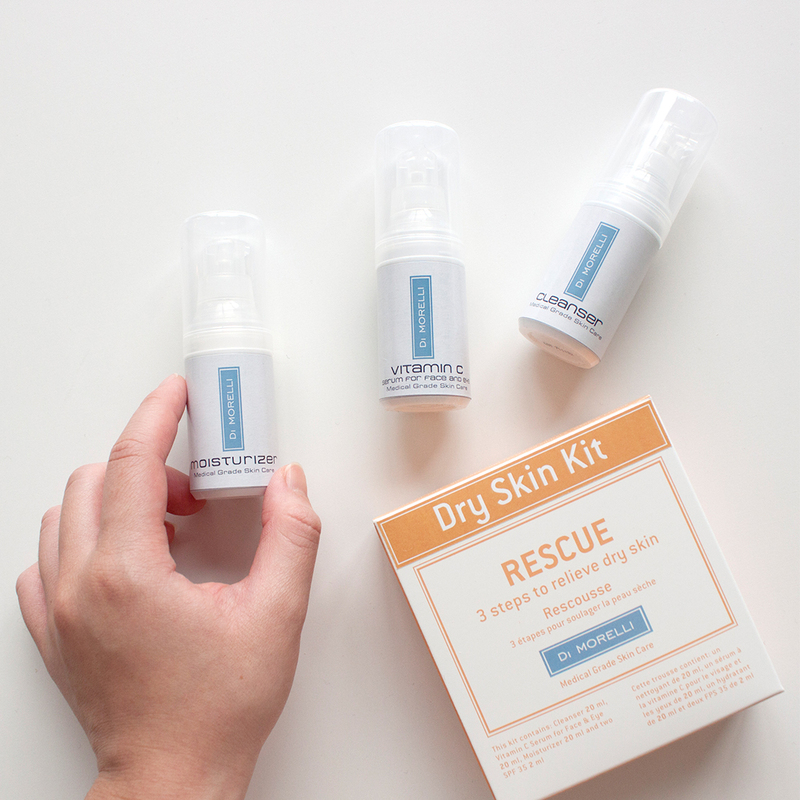 Our Rescue Mini Kit contains 3 medical grade products to nourish, repair, and restore dry skin back to a healthy, supple state.